If anyone has any history, photos, or video they would like to add, please email me at jeff@jdsmotorsports.com ! This has been out for a few months now, but I just now am getting around to adding it, great footage! I have more footage! Its rough and has lost some quality over the transition, but I wanted to share it anyway! Any and all footage is cool since there is so little! Big thanks to Howard Patton for sharing the VHS tape with me! To my knowledge, this is the only published video of the track, maybe the only video that exists? This video starts out with footage of the Fontana Dam, but then switches over to raceway footage at about the :44 second mark. 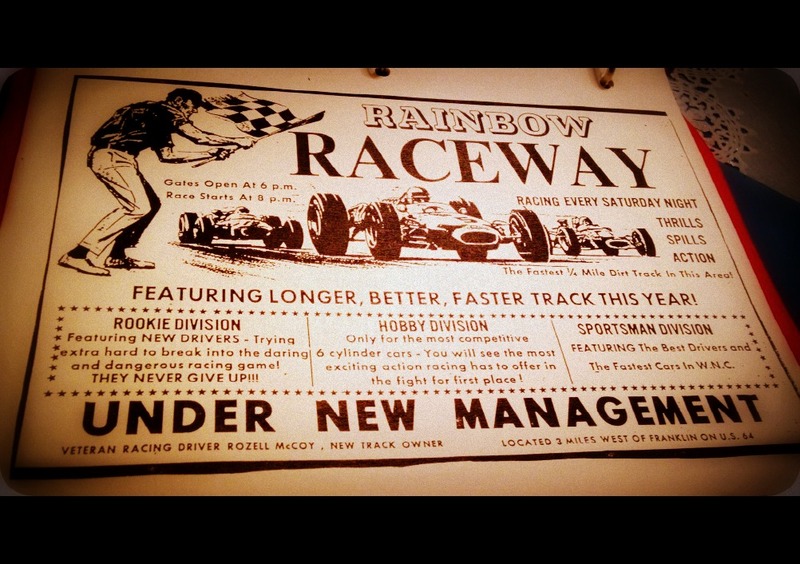 I spent many a Saturday night at Rainbow Raceway. Driver Ricky Blane and Mechanic John Pohlenz raced there many times. We always went when they were racing. It was great family fun even though you were a different color from all the dust after the race. I was there when he won the race backwards! Spent many nights there with my Dad watching Uncle Don race #51. My family was co owners of the track. My dad, Bud Green, flagged, my mom ran the concession and brother Bob did the announcing . I was young and always helped clean trash up on Sunday. Lots of grat memories. Thanks for the page. You don’t have any photos do you? Hello! I am not sure if y’all have seen this recent video of Randy McCoy’s that we posted recently!! WE hope you will enjoy!! I saw that! I’d heard of the footage but glad to finally see it! I’ve got to add it to the history page when I get time!